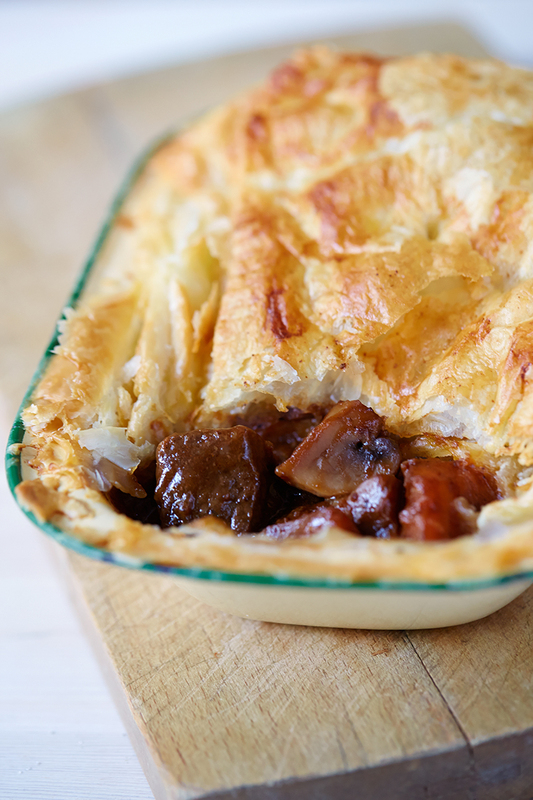 I didn’t get chance to enjoy the dish that inspired this steak and ale pie recipe while I was in Edinburgh this summer so upon my return set about making the next best thing. A few years back I ordered a steak and ale pie made with Edinburgh’s Innis and Gunn beer and it was stunning. Luckily London supermarkets sell the stuff so I have never made steak and guinness stew or pie since. You can substitute the Innis and Gunn with another golden beer or Guinness.